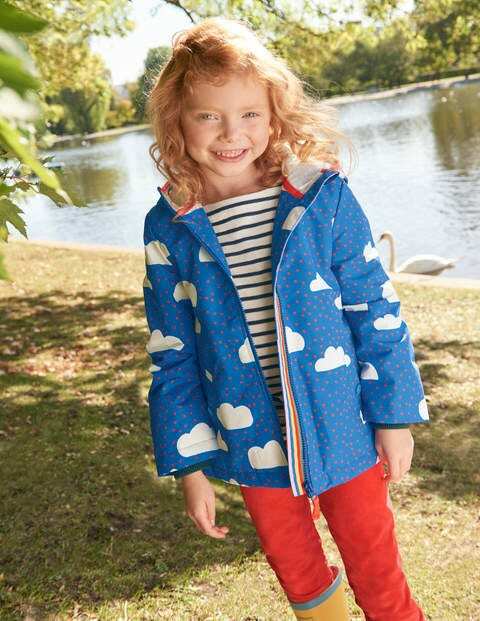 Unlike the British weather (boo...), this jersey-lined anorak can be relied upon (yay!). The shower-proof outer shell and stripy super-cosy lining trap warmth in, while contrast ribbing at the cuffs and hem say a firm 'no thanks' to chills. Popper-fastened pockets at the front keep little hands snug. Pull up the hood and head out for fun, whatever's happening outside the window.